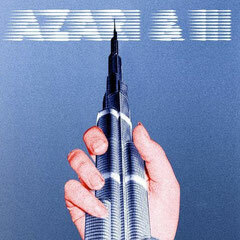 To coincide with Independent Record Store Day (21.04.12) Torontonian four-piece Azari & III release a limited edition 12” featuring brand new remixes of two tracks from their acclaimed debut album. The A-side features Finnish DJ and Producer Jori Hulkkonen, renowned across the blogosphere for his version of Corey Harts 1980’s hit ‘Sunglasses At Night’, and he strips back the original’s percussion to deliver a contemporary Chicago influenced house groove. Further remixes come by way of Konrad Black who turns in a deeper late night work out, replete with bubbling, sinister bass and submerged weightless drums. Recently nominated for a Juno Award, the debut album is an amalgamation of the power backline producers Dinamo Azari & Alixander III whose experimentation with vintage synths and improvisation has created an ultra-modern slick production, and kicks out the dark staccato groans of Fritz Helder and the velvety soulful vocal of Starving Yet Full; it’s unremittingly euphoric. 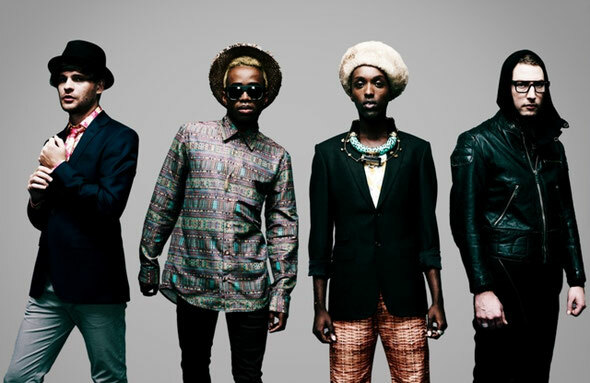 Live, the band have emerged as one of the must-see festival acts of 2012, hitting the stages of Lovebox and Sonar to name a few.